We urge our delegation and the rest of Congress not to let perfect get in the way of good. As the Republican Congress and President Trump take up the daunting issue of tax reform, we encourage our federal colleagues to follow Utah’s lead and create a system that is simple, equitable, and stable for American taxpayers. Ten years ago, we were the sponsors of Utah’s last major tax reform. This reform helped position the state not only to weather tough economic times, but attract outside businesses and retain homegrown businesses. The results are clear: Utah is the leading state economy in the country. Our unemployment is among the lowest, businesses are clamoring for space along our Silicon Slopes, and our state government balances its budget. Which isn’t to say that tax reform is easy at a state or federal level. Debate is heated, and should be. Taxes touch everyone. We’ve reached a point where everyone has a special loophole in the tax code. We’re told every loophole is critical to the financial health of the country. But those loopholes combined with unchecked spending have buried the country in a debt hole so deep and so vast that even Kennecott would be impressed. There should be no sacred cows when it comes to reform, whether for specific businesses or even specific individual loopholes. * Broaden the base and lower the rate. Utah’s former tax base had many carve-outs, favoring certain special interest groups. The result was a higher-than-necessary rate to generate the expected revenue. Our tax reform efforts were a significant step to broaden the tax base, allowing a lower rate. While the current federal tax reform proposal could go further, steps like limiting the state and local tax deductibility are important moves in the right direction. * Simplicity. Americans spend billions of frustrating hours on tax compliance. 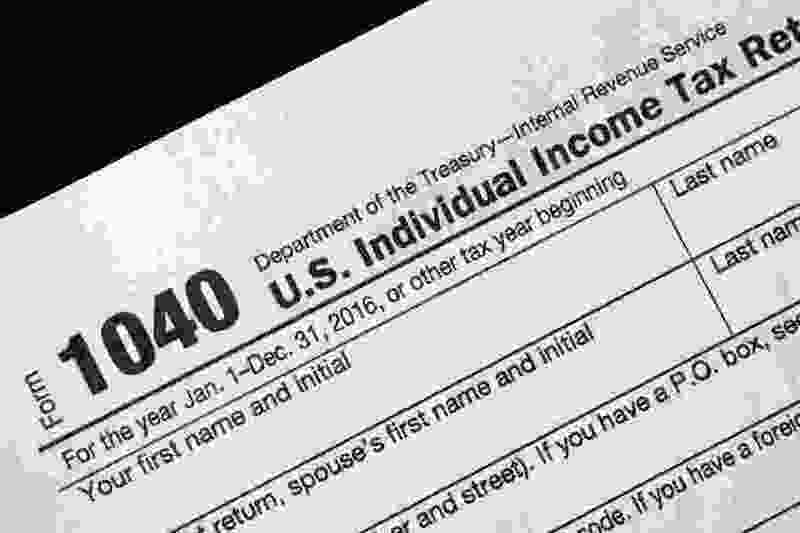 Expanding the standard deduction, while eliminating specific deductions should simplify tax reporting for an increasing number of taxpayers and insure more accurate reporting and returns. There is plenty to like and dislike in the federal reform proposal. The good news for Utah, is that we have influential and experienced representation from the likes of Sen. Orrin Hatch and Rep. Rob Bishop. Their skill and leadership on this issue will be crucial to getting tax reform passed. We urge our delegation and the rest of Congress not to let perfect get in the way of good. Tax reform is an ongoing process. While we helped shepherd through major tax reform a decade ago, the Legislature and Tax Commission are once again pouring over Utah code to ensure a simple, equitable and stable system for our taxpayers. We expect those efforts to keep Utah an amazing place to live, and a shining example of how things can be done right. 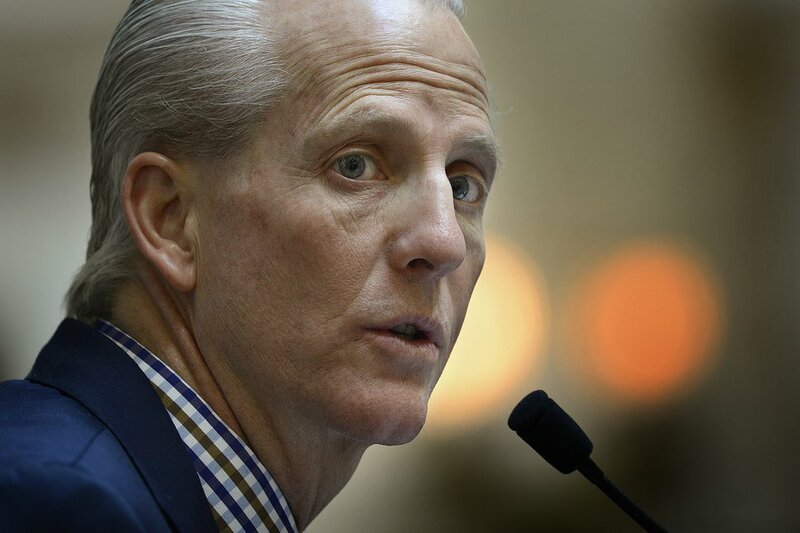 Scott Sommerdorf | The Salt Lake Tribune Senate President Wayne Niederhauser, R-Sandy, during floor time in the Senate, Wednesday, February 24, 2016. Sen. Wayne Niederhauser is the Utah Senate President. He was the chair of the Senate Revenue and Taxation Standing Committee and was the co-sponsor of Utah’s most recent major tax reform bill. 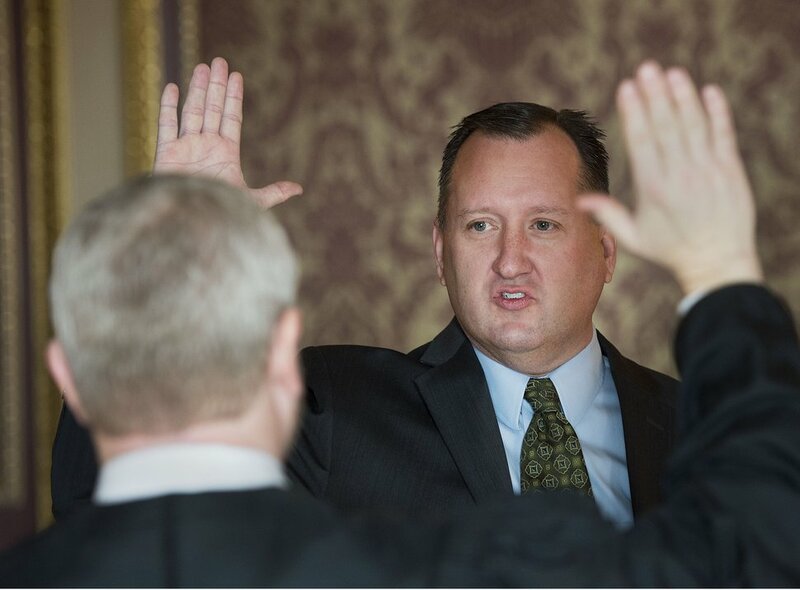 Steve Griffin / The Salt Lake Tribune State Auditor John Dougall , center, joins Utah Supreme Court Justice John A. Pearce as he takes his oath of office during a simple ceremony in the State Capitol Gold Room in Salt Lake City Monday January 2, 2017. Following the deadline in the state Constitution Utah Attorney General Sean Reyes and State Treasurer David Damschen joined Dougall in taking their oaths. John Dougall is the Utah State Auditor, and a former state representative. He was the chair of the House Revenue and Taxation Standing Committee and was the co-sponsor of Utah’s most recent major tax reform bill.